A long-lost animated film by Walt Disney was recently discovered in a Norwegian library. A long-lost animated film by Walt Disney was recently discovered in a Norwegian library. The National Library of Norway, located near the arctic circle in the city of Mo i Rana, found the 1927 film while digitizing their film archives. The film is titled Empty Socks and features Oswald the Lucky Rabbit, a character created by Disney and Ub Iwerks before the creation of the iconic Mickey Mouse. Appropriate for this time of year, it is also known for being the company’s first ever Christmas film. Originally, the film was thought to be footage of Felix the Cat, another popular cartoon in the 1920s. 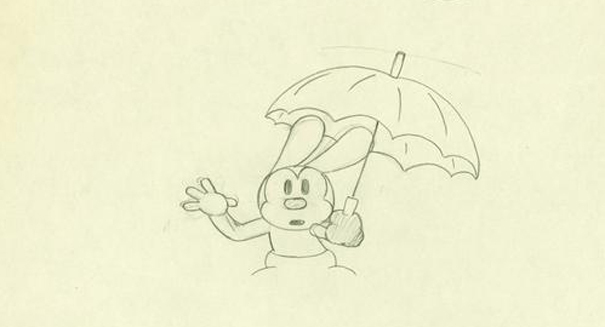 When Disney historian David Gerstein told the library about the missing Oswald film, they began to suspect they had an incredible discovery on their hands. After sending some information about the footage, it was authenticated by Gerstein as the lost Disney classic. Previously, the only known footage of Empty Socks resided at the Museum of Modern Art in New York. That footage only ran around 25 seconds. According to the library, the full film runs around five minutes and 30 seconds. However, their copy is missing around a minute from the middle. A digitized copy of the film was sent to The Walt Disney Company, while the originals remain in the National Library. The reels are kept in a climate controlled room, as they are made of a highly flammable compound and dangerous to move. In addition to Empty Socks, a second Oswald film was discovered in the archives. Titled Tall Timber, the 1928 film was one of the last Oswald films ever produced. Shortly after, Disney lost the character rights during a contract dispute with Universal, who had been distributing the Oswald films. This was the catalyst for the creation of Mickey Mouse.